Despite having published the recipe of Luqam (AKA Awwameh) a few years ago (find the recipe here), I had to include this recipe again this year because as I have come to learn, Luqam Al Qadi happens to have such an interesting history and that is one of my focal points this Ramadan. Moreover, Luqam is a dish that is known to be a part of the menu that devout Muslims of the Medieval Era ate to break their Ramadan fast and continues to be one of the most favourite and widest spread dessert options in Ramadan until today. So read on I think you will enjoy exploring this traditional dessert from a fresh perspective. ‘Luqam Al Qadi‘ لقم القاضي is the classical Arabic name for a dessert made with leavened pastry that is deep fried, and then sweetened. In modern spoken Arabic this dessert is also known as Awwameh عوامة in Palestine and parts of Jordan (literal translation: that which floats), Lomet il Adi لؤمة الآضي in Lebanon, Syria and other parts of Jordan (literal translation: the bite of the judge) , as well as Lgeimat لقيمات in the Gulf Region (literal translation: small bites). It is worth mentioning here that the Arabic word Luqam لقم means nibbles or small bites and Al Qadi القاضي means the judge (a term also commonly used in reference to court). It is commonly known that this dessert took this name because it was originally a delicacy created for the courts before being mainstreamed. 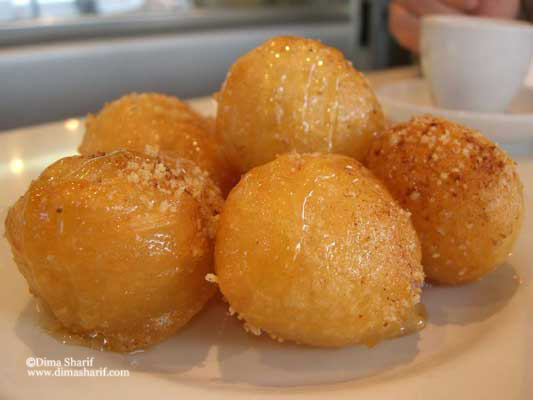 These fried pastries are usually dipped in Qater* as soon as they are out of the fryer. While this dessert is very well known across the Arab world – despite having different names, pronunciations and at times different applications (in the modern recipe) – they all originate from the same classical recipe that goes back to Medieval Islamic cooking. One of the earliest records of this recipe is found in the Baghdad Cookery Book (1226 AD/623 AH), according to which the Luqam are also dusted with powdered sugar, after being dipped in the syrup. The dessert is usually served warm or at room temperature, as it is meant to be had very fresh after frying. Classically, this dessert belongs to the category of finger foods. I was reading through Culinary Historian Cathy Kaufman’s writings and have come across such an interesting piece “Beignets and Luqam: Thoughts from Kathy Kufman” in which she explores the origin of the French Beignets and traces them as being the base of the National ‘doughnuts’ of New Orleans – now known as the New Orleans Mardi Gras Beignets. She then moves on to spotting the connection between beignets and the Spanish “buñuelos” and finally tracing the pastries back to Medieval Islamic food (specifically to Luqam Al Qadi). What an interesting proposition that reflects on how food moves around the world, and how it evolves through history! ‘Beignet’ is a French term for a pastry made from deep fried choux paste. Fried doughs, in many variations, can be found in almost all cuisines across the globe. However, the origin of the term Beignet is French. Beignets have been in French cookery since the Middle Ages and are found in the works of: Massialot’s Le Cuisinier Roial Et Bourgeois (1691), Le Cuisinier gascon (1747) and Le Dictionnaire portatif de cuisine (1767). All these works describe beignets as being a type of pastry that is leavened with brewers’ yeast or eggs, which are fried in butter, lard or a type of oil either on their own or as a dense batter for sweet or savory morsels. Le Grand Robert de la langue française, explains that the term acquired this new spelling from Olivier de Serres’s Théâtre d’agriculture (1605), where De Serres described that apples are an excellent choice in “tartellages, beignets and similar delicacies.” notice the earlier date of this document. On the other hand, Beignets are also very popular in New Orleans’ creole cuisine, first brought to Louisiana by the 18th century French colonists and said to have been introduced specifically by the ursuline nuns. In home creole cooking of New Orleans, the beignets are often served as a dessert, usually including banana or plantain. 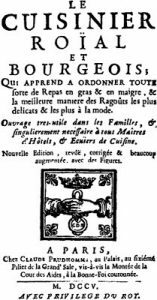 While there are speculations that there may be older undiscovered beignet recipes in the old Louisiana Manuscripts, the oldest Beignet recipes in New Orleans were published under the name ‘doughnut’. In the Creole Cookbook (1885) is one of the oldest New Orleans doughnut (beignet) recipes. The recipe lists, sugar, butter, eggs, flour and yeast. It also lists powdered cinnamon and rose water. Interestingly, many beignet recipes appeared in various French works around the same time when the ursuline nuns allegedly introduced beignets to New Orleans. Nowadays, made out of leavened pastry and served sweetened by heaps of icing sugar, these doughnuts became known as the Mardi Gras Beignets as they are the traditional Mardi Gras celebration food. The etymological and historical dictionary of gastronomy Mots de Table, Mots de Bouche (1996), suggests that the word beignet might have been adapted from the word “bugne” which means a bump in the Provençal dialect. The book even goes to suggest that “buignets” were introduced into Provence by Saracens in the 12th or 13th century. Saracens A term – the meaning of which has evolved through history – was used in the early centuries CE in Greek and Latin to refer to a people who lived in the desert areas in and near the Roman province of Arabia, and who were specifically distinguished from Arabs. In Europe during the Early Medieval era, the term Saracens began to be used to describe Arab tribes as well. 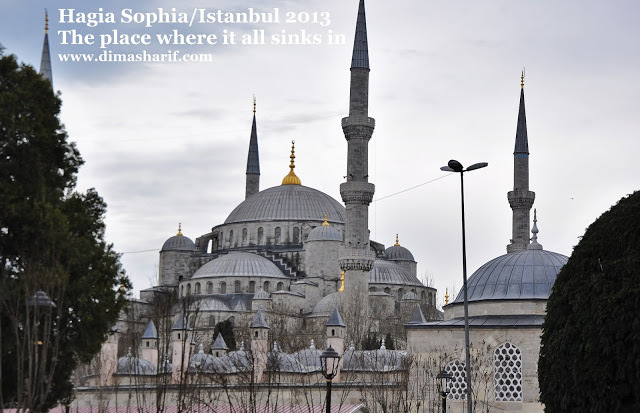 In the later Medieval era, this term became widely used in Europe for ‘Muslims’. Kathy proposes that Mardi Gras Beignet may have their origin in the Medieval Islamic dish Luqam Al Qadi, a version of which appears in the Baghdad Cookery Book (1226 AD/623 AH). This book’s recipe for Luqam Al Qadi instructs: “Make a firm dough. When fermented, take in the size of hazelnuts and fry in sesame oil. Dip in syrup and sprinkle with fine ground sugar.” Kathy even goes to explain that According to Claudia Roden in A Book of Middle Eastern Food, the syrup would be flavored with rose and orange blossom waters, two of the Islamic world’s outstanding culinary inventions. If Andalusia was under Islamic rule from the eighth until the end of the fifteenth century, many Islamic foods had ample opportunity to be integrated into what has evolved into Spanish cuisine. In her argument, Kathy suggests that the term “buñuelos” – which is Spanish for yeasted fritters – is very similar to the Provençal bugne. She finds this to be further evidence to support the “Andalusian introduction of beignets into Mediterranean France”. Moreover, she argues that pets de nonne which are deep-fried balls of airy choux paste, were – in the Middle Ages – known as “Spanish beignets”. This fact associates deep-fried leavened dough with Spain. “Not to stop there, but the argument is given another reason to believe that biegnets may have migrated from Islamic to European cookery simply by explaining that the deep-frying involved in making Beignet was a relatively expensive technique requiring the use of fat and metal pans instead of clay in order to withstand the heat. Deep frying therefore, would have been more likely practiced by the elite and the recipes more likely distributed at courtly levels before being accessible to all. 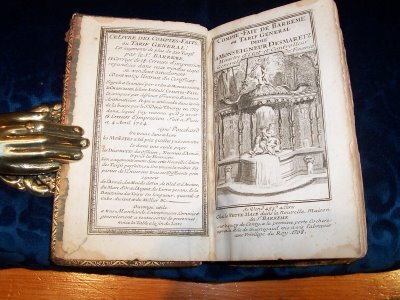 According to Cathy, the fact is that “Cordoba, in Andalusia, was home to one of the wealthiest courts in the High Middle Ages when the buignet made its way to Provence, and the Islamic world had a more developed written recipe tradition in the thirteenth century than anything in Christian Europe.”. According to Beignets and Luqam: Thoughts from Kathy Kaufman, the similarities between the Luqam and the Beignet are unmistakable. Furthermore, luqam has all of the key elements of the Creole Cookery Book’s doughnuts. Hope you have enjoyed reading this post and that it made you at least curious about how food evolves and travels around the world.